On 19 and 20 November, Macron will be in Brussels at the invitation of King Philippe. Macron represents the new reactionary wave, embodied in the US by Trump, who, beyond the traditional right and the reformist left, represents the bare will of capital. From banking and industry, the leaders of this wave know only one goal – increasing profits and, to that end, crushing all resistance to exploitation, impoverishment, suffering, neo-colonial oppression inside and outside the borders, destruction of the ecosystem. It is to support those who resist in France that the collectives that called for a revolutionary 1 May in Brussels last year and which will call for this 1 May next year, call for a mobilization on 19 November. 1. Solidarity with the struggles of workers, students, unemployed and pensioners. The mobilizations have been large and radical, against the labor law, the pension reform and the attacks on the status of railway workers. They were the occasion for the recomposition and convergence of anti-capitalist forces. Therefore, their repression was also massive and brutal – in the street first, with its procession of broken bones and injured eyes, then in the courts, with a large number of convictions. 2. Solidarity with the struggles of the earth, starting with the most prominent, the ZAD in Notre-Dame-des-Landes and Bure. 3. 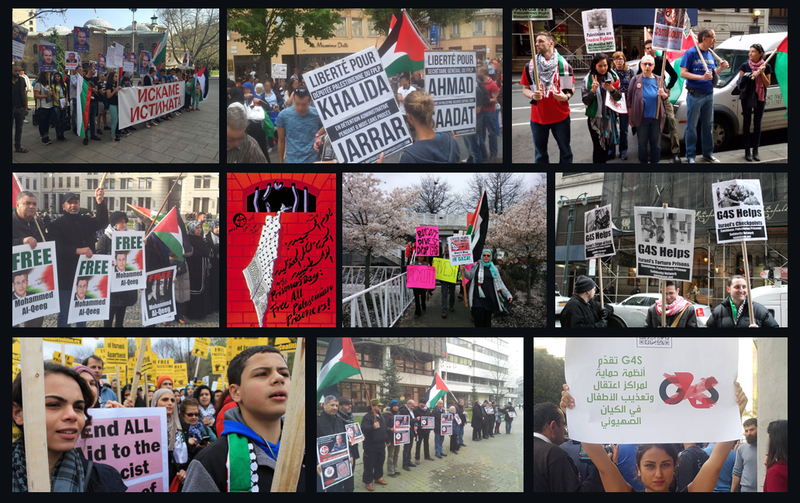 Solidarity with the resistance to French imperialism, against its neo-colonialism in the countries it dominates and in the metropolis, against its alliance with reactionary Arab regimes and the settler colonial, racist Israeli state. Beyond these initiatives, we urge the growth of solidarity activities with the resistance struggles in France. All against Macron in Brussels 19 November!